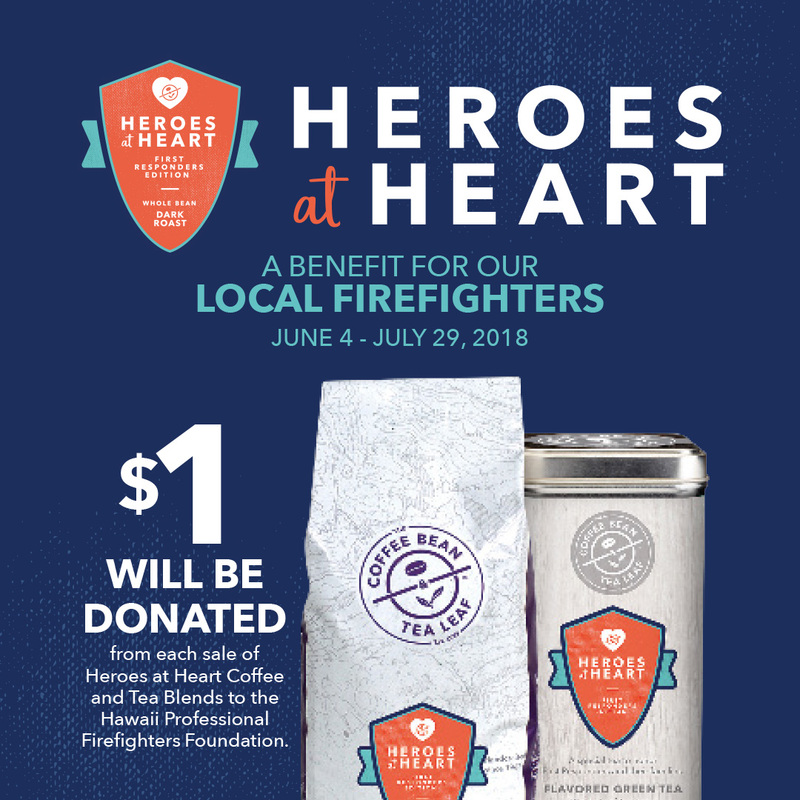 Now through July 29, $1 will be donated from each sale of Heroes at Heart Coffee and Tea Blends to the Hawaii Professional Firefighters Foundation. Enjoy some whole bean coffee or whole leaf tea and support HFFA’s charitable non-profit created for HFFA members and their Ohana! 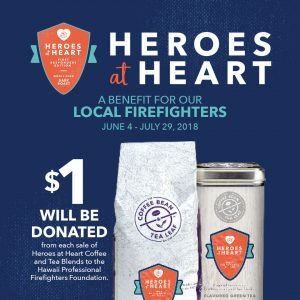 Mahalo to The Coffee Bean and Tea Leaf – Hawaii for supporting the Hawaii Professional Firefighters Foundation in our dedication to Hawaii’s firefighters and their Ohana! Check #CoffeeBeanHI for locations on Oahu, Maui and Kauai. See barista for details. Offer good thru June 4 to July 29, 2018.